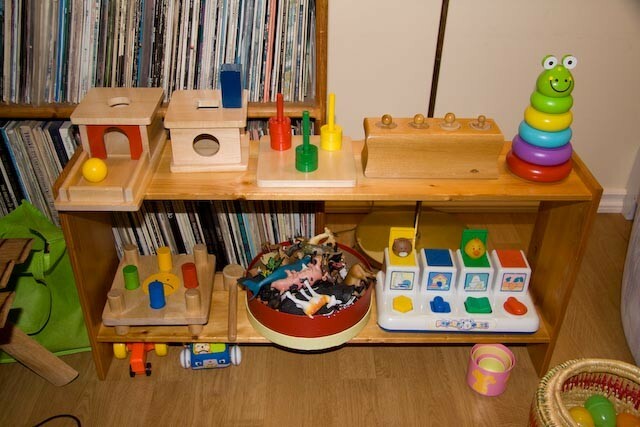 The Montessori Child at Home: Putting on a coat...the Montessori way? Every now and then, I go through my statistics to see which subjects people are looking for when they stumble upon this blog. Something I've noticed a number of times is people searching for directions to putting on a coat "the Montessori way." I then realized that I posted about how we teach the children to hang up their coats but I wrote nothing about how we teach children to put on their own coats. So I've decided to write a post about that subject. I have no idea if this is the"Montessori way" but it is the way its been done in three of the schools at which I've taught. If you know another way, please let everyone know (I'm sure there are several). First, the child spreads her coat onto the floor with the front open to expose the arm holes. She then moves the coat (or her body) to make sure the label is close to her feet (or knees if she is kneeling). ...and then flips the coat up into the air and over her head and behind her back (which is why its important that the child hold onto the material inside the arms) . The child then pushes her hands to the ends of the sleeves and shrugs the coat onto her shoulders. In the classroom, I show the children how to do this with my own coat. I have done it as a group presentation but find a one on one presentation much more effective. I don't use a lot of words - in fact I don't use any - to give the child time to really observe what I am doing. She is so smart. She definitely knows what she's doing.